searching and web browsing of digital archives. In practice, SEMLIB the research results will be integrated into two software-as-a-service platforms: EventPlace and PunditBrain. The two cloud services have radically different target users and business models, however they will both use the SEMLIB results as their core building blocks. Click on the links to download the final official press releases for Pundit and EventPlace. Click here to download the first official press release of the project. This project has received funding from the European Union’s Seventh Framework Programme for research, technological development and demonstration under grant agreement no 606010. Pundit (formerly known in StoM as PunditBrain) is web-based service, that can allow users to apply semantic annotations on web documents. In StoM a significant amount of work has been dedicated on improving the usability of the annotation tool. The effort to perform an annotation is now similar to highlighting text in desktop documents. Pundit is aimed at scholars, journalist and students but will also perfectly fit into corporate environments where document collection and consumption lies at the heart of their work. Some example on how to use semantic annotations in your work? See our use case videos! annotate web pages, either public (eg web sites, portals) or private (web based digital libraries and document management services directly managed by the users or by their organizations). collaborate with friends and colleagues in enriching shared annotations’ collections. Pundit’s positioning amongst competitors can be represented with the following diagram. Several products exist in the market today that help users to “collect” information from web pages. The result is very often a textual or multimedia note, with very few possibilities of reuse of the collected information. At the same time other tools specifically address the problems of professionals (scholars, students, journalists, lawyers, etc) that, for their research, must consume textual documents in advanced ways, adding “marginalia” on them. The annotation features they provide are often semantically poor, being basically based only on text. You can’t identify concepts, persons, dates, relationships, things that can strongly ease the exploitation and reuse of a research. 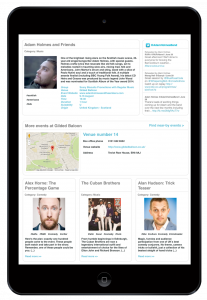 EventPlace is the solution for event and destination managers who want to organise their event content (e.g. presentations, video recordings, video promotions, documents) and combine it with user-generated content (e.g. photos and videos from participants, sharing impressions of the surroundings etc.) 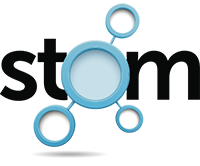 for an engaging experience for everyone. The cross-platform approach for our service is beneficial when customers want to access their content on the go. We can additionally offer the integration of own multimedia, and the easy moderation/curation of own and aggregated content. EventPlace offers one platform to present your own media, enrich them and recommend topics of interest to your audience. serve your purpose. Our solutions are aimed both at individual and corporate clients and provide limitless possibilities for organizing their work in the digital environment. Explore our innovative solutions and learn what we can do for you.  StoM consortium members are all leaders in their specific fields. © 2014 StoM. All rights reserved.